About a month or so ago, I preached at Bentley Baptist Church, and at the end of the service the pastor, Aaron, announced that the following week was the beginning of Advent. He asked the congregation, if they could remember, to wear green for that service, and that they would mark Advent with different colours each week, presumably one practice amongst a collection of practices that would help the congregation attune themselves to the coming of Christ, celebrated at Christmas. Something is lost, I think, when churches do not practice Advent. We rush, unthinking, toward Christmas and it becomes simply another secular holiday on the calendar. I love Christmas carols. Here are some of my favourites with beautiful arrangements and instrumentation…. Harp, cello, piano and violin – beautiful. Come, Emmanuel. 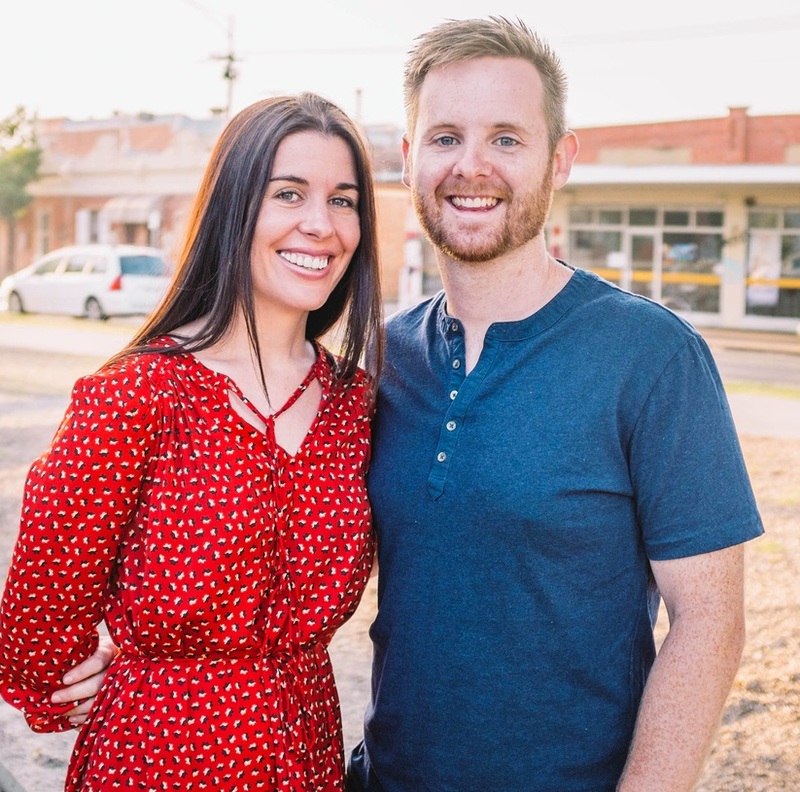 Today, Monica and I are in Geraldton, joining Craig and Janelle Palmer and the good folk of Geraldton Baptist Church in worship. They have asked me to preach on this passage as the congregation prepares for Christmas. Whenever I think of the virgin birth, I am reminded of the way Karl Barth spoke of it as the miracle which testifies to the mystery. Do any of you remember the 1995 song One of Us by one-hit-wonderJoan Osborne? Amazing lyrics, amazing questions! If God had a name what would it be? If God had a face what would it look like? What if God was one of us? The lyrics express a spiritual hunger but no idea of where to look for food; and maybe a bit cynical about the things Christians would generally say about God’s greatness and goodness? All this took place to fulfil what the Lord had said through the prophet: “The virgin will be with child and will give birth to a son, and they will call him Immanuel”—which means, “God with us.” When Joseph woke up, he did what the angel of the Lord had commanded him and took Mary home as his wife. But he had no union with her until she gave birth to a son. And he gave him the name Jesus. Matthew doesn’t tell us how the Virgin Birth took place—except that it was by the Holy Spirit. Luke gives a little more detail, the angel telling Mary that ‘the Holy Spirit will come upon you, and the power of the Most High will overshadow you.’ The Virgin Birth is a divine miracle in the power of the Holy Spirit. Matthew tells us two things about Jesus (Yeshua = “Yahweh Saves”): What he does: You shall call his name Jesus for he shall save his people from their sins. Many people looked forward to national, political and economic deliverance when the Son of David came in conquering power. But Matthew shows us a much deeper human need: he comes to save us from our sins—our spiritual needs far outweigh other needs. 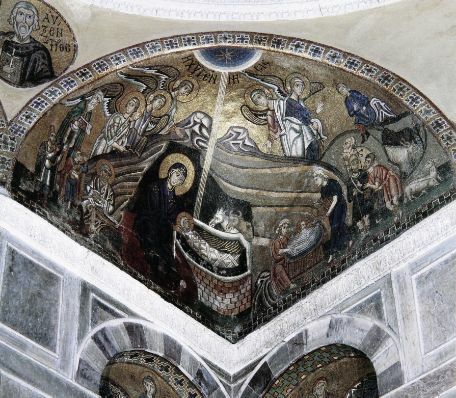 The miracle of the Virgin Birth, though wonderful, is really the secondary matter in this passage, a sign of the far greater miracle and mystery of the Incarnation—the mystery of God becoming flesh and taking his place amongst us as one of us! You see, God has become ‘one of us.’ This is one of the major differences between Christianity and Islam. For Islam, Allah is so high and so holy it is inconceivable that he could have contact with such as us—he remains aloof, untouchable and untouched by human contamination, suffering and need. He can send angels, prophets or messengers but he cannot come. Christianity is different: God didn’t just send angels, prophets and messengers—he came! In Jesus, God has come close. God has taken human nature and human life to himself—he has joined human nature to his own divine being. This is all of grace, all of God who is a God who stoops to take us by the hand. 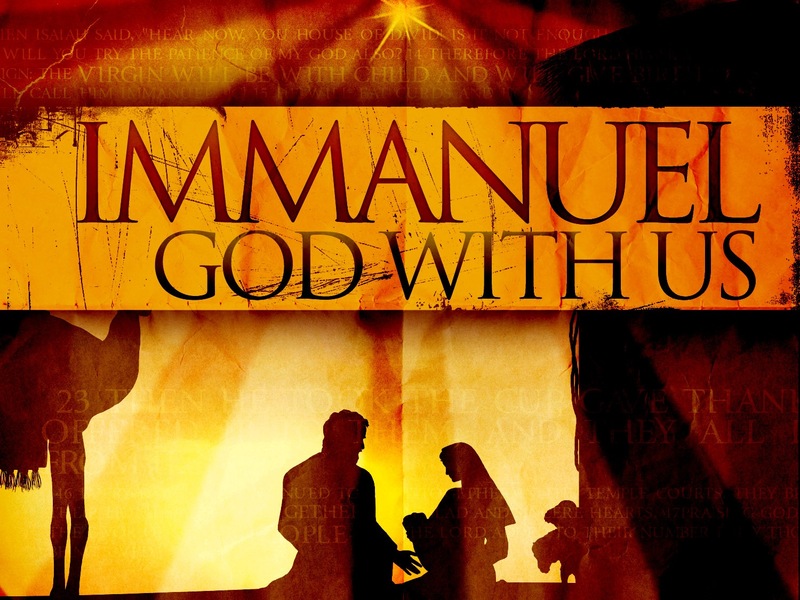 In this respect, Matthew quotes from the Old Testament: ‘The virgin will be with child and will give birth to a son, and they will call him “Immanuel”—which means, “God with us.”’ If the name Jesus is descriptive of what Jesus does, Immanuel is descriptive of who Jesus is—God with us. The miracle of the Virgin Birth, then, points towards both the humanity and the deity of Jesus. He was a human person born in the normal way. He is also the eternal God who has come to us—the God-man. Jesus didn’t begin his existence at Christmas, but as eternal God, entered into time and space at Christmas. For unto us a Child is born, unto us a Son is given… (Isaiah 9:6). So many people are ‘in the dark’ about God and don’t see him clearly. If you want to know what God is like, look at Jesus. Jesus Christ is the “Word of the Father, now in flesh appearing…” That is, he is the revelation of the will, wisdom and person of God. He is God’s communication to us, both the promise and the command of God. His teaching is the instruction of God. His death is the death of God-for-us. His resurrection is the victory of God! The meaning of Christmas is first and foremost a message of amazing grace, of a God who comes near. The second meaning of the miracle of the Virgin Birth is a new creation, the beginning of a whole new world—what we couldn’t do for ourselves, God has and is doing. Into a world of brokenness and sadness God has come by means of a supernatural birth in the power of the Holy Spirit. But what was begun there doesn’t end there: the same Spirit who hovered over Mary and brought about a miracle of new life and transformation in her can also do the same in us! You must be born again! Regardless of who you are or what you have done—you!—can be born again, can start a whole new life as part of the new world. Jesus is the answer to our deepest needs. He is God come among us in order to save us from our sins—rescue us from the deepest cause of our alienation and brokenness. When we start from the inside out we can have hope that the entirety of our life can experience the transformation he brings. I nicked the graphic from this site for an article a few weeks ago, but also thought the content was somewhat amusing. Included in their Top 10 Theologians of All Time are Augustine, Aquinas and Calvin, as well as CI Scofield and (my friend David will love this…) Matthew Henry. Who are my top ten? By what criteria would I choose? Off the top of my head I would certainly include Augustine, Aquinas and Calvin. Barth would make the list, as would Luther and Athanasius. As I get toward the end of the list disputes arise: Is a Tertullian or Irenaeus more deserving than, say, a Wesley or an Edwards? How does one choose such a list? Who are your top ten? The new issue of Colloquium, the journal of the Australian-New Zealand Association of Theological Schools (ANZATS) arrived yesterday (Vol. 47.2 (November 2015)). It has an interesting mini-theme of theological education with essays by Stephen Plant on Bonhoeffer’s Life Together, Mark Lindsay on Thomas Cranmer, Geoff Thompson on the functions of theology, John McDowell on God as the telos of higher education, and Monica Melanchthon on theological education for transformation. Looks like good reading. The Colloquium website is not updated yet, but should be in due course. My go-to web-based dictionary has just announced a very prosaic Word of the Year 2015. If nothing else, it indicates how a very ordinary word has become freighted with angst and new shades of meaning in the present cultural milieu. Tuesday October 29, 1929 “Black Tuesday” – No. Sunday December 7, 1941 Pearl Harbour – No. Friday November 22, 1963, JFK Assassination – No. Sunday July 20, 1969, Armstrong on the Moon – No. (Must have been a Monday Perth-time, because I stayed home from school to watch the moon landing. Tuesday September 11, 2001 – No. No doubt the New York Times reported on and editorialised these significant events of national history. Many other events, of course, could be added: World War II, Woodstock, Watergate, and the Berlin Wall. Yet not once did their editorial appear on the front page of the newspaper. 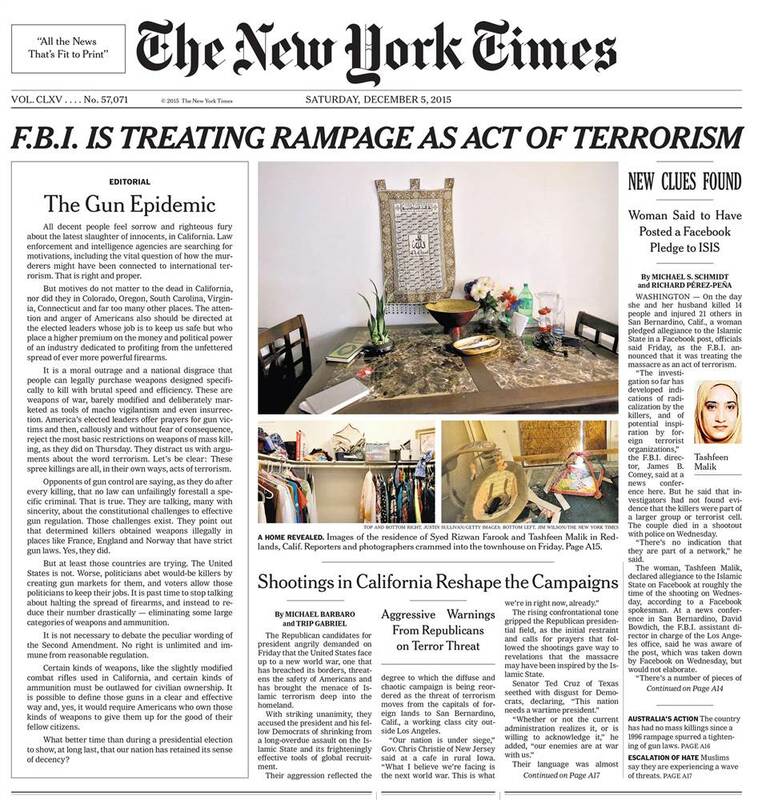 Last week, however, the editors of the New York Times broke with almost 100 years of tradition and decided an event had occurred which was so significant, it had to be editorialised on the front page. Note, too, the bottom right-hand corner where Australia is referenced. Many people here disagree with many of John Howard’s policy decisions, but only few, I suspect, disagree with his action to introduce gun control. Congratulations, New York Times: good call. The parables of Matthew 13 paint a vibrant picture of the coming and way of the kingdom. Its coming is inevitable, irresistible and progressive, but it is not necessarily easily. The kingdom faces resistance, opposition, and rejection. Jesus’ reception in his hometown is surprising: those who know him best reject his ministry. In a series of seven questions bookended with “where does he get this stuff?” his friends and neighbours conclude he is no one special, perhaps even a fraud. And they were offended at him. Earlier in the gospel, Jesus has pronounced blessing upon those who are not offended with him (11:6). Why were they offended? Why did they refuse to believe? Perhaps their doubts arose when they started considering all these common-place questions, contrasting what they have heard about Jesus with the everyday “facts” of who they “knew” him to be. c) Some people’s doubt is experiential—unanswered prayer, difficulties of life and unmet expectations have left them wounded or disillusioned. d) Some people’s doubts are moral: they resist the call and the claim of the kingdom. e) Some people’s doubts are intellectual: the enigma of evil challenges their confidence in the goodness or even existence of God; or the prevalence of scientific naturalism seems to provide explanation enough of the world with the result that God is not needed. 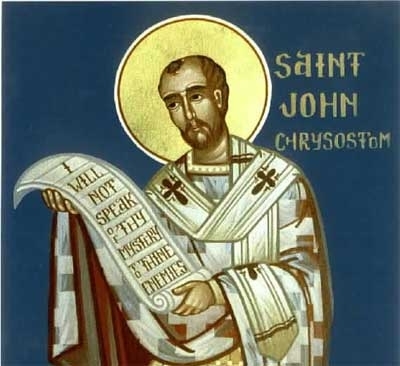 Moments or periods of doubt are quite normal in the Christian life, and may even be the proof of an underlying faith, that in one’s hearts of hearts, one actually believes. Nonetheless doubt is a serious threat for like a wound, doubt can fester into unbelief which is a hardness of heart and a refusal to trust God. In our text tonight, that is just what has happened. Although each kind of doubt may require a different response, in each case what is most required is an experience or deeper appropriation of revelation—something easier said than done. Revelation of God is not something we control but something we receive. It is, however, something for which we might pray, both for ourselves and for others. Earlier in his gospel Matthew speaks of the revelation of God given to those who are children (Matthew 11:25-28). This text shows first, that revelation has an aspect of divine sovereignty; it also insists that whosoever will respond to Jesus’ call may come. Unbelief is not inevitable: we may come. Second, the text also shows that God remains hidden, even in his revelation. The treasure of the gospel always comes clothed in an earthen vessel (Bruner). The glory of God was hidden in the humanity of Jesus. When the people of Nazareth stumbled over Jesus’ apparent humanity, they were not open to receive the knowledge of his divinity. God’s revelation, whether in Christ, Scripture or the proclamation of the church, works in a similar way: it comes clothed in the weakness of humanity. If we stumble or become offended at this human weakness, we will miss the revelation God gives of himself to us. And Jesus did not do many miracles there because of their unbelief (cf. Mark 6:6). According to Frederick Bruner, “Faith is the ordinary way to Jesus’ help. When faith is not present…not much happens” (2:62). The corollary is also true: where faith is present, it just may be that we will see and experience the saving presence and power of God. Faith occurs in the hearts of those who hear the word of the kingdom, receive it gladly, and understand it. It is amongst those that the word of the kingdom brings forth fruit. And so Jesus says, “Come.” Will you come? Will you trust? Will you trust on the authority and confidence of others who have gone before you? Will you open your heart to Christ?